tuality and results in a plethora of abuses. It has been easy and convenient to ignore the warnings of Jesus about Jezebel by linking them to sexual seduction and not to the kind of entitlement attitude that actually underlies the reality. A few characteristics consistently accompany the Spirit of Jezebel, regardless of where it appears. Church leadership, especially the pastor, has a sense of entitlement to position, power and prestige. This entitlement is invariably portrayed as the will of God, and therefore not to be questioned by anyone. Church leadership, especially the pastor, invariably feel great fear over losing their position. Anyone who questions the way things are done is stigmatized as attacking the church, and therefore out of God’s will. Church leadership, especially the pastor, undermines any success achieved by anyone who is not part of their immediate inner circle. If a gifted Bible teacher, for example, begins to get too great a following in a Sunday School class, leadership will step in and require the class to divide into more than one group, taking as many as possible away from the influence of the teacher, or will take steps to replace or eliminate the teacher. Sermons place an unbalanced emphasis on tithing and on blind obedience to “the man of God,” who represents God and should be treated essentially as the representative of God, and therefore not to be challenged or questioned. Because church leaders believe they are entitled to their position and power by the will of God, they have no qualms about any action that will protect themselves from those they consider threats. This includes character assassination, lies to the rest of the congregation, and intimidation to isolate the troublemaker and prevent anyone else from even talking to them. Leadership will look for ways to impose as much control as possible over teaching content and other input available to the congregation. You have a deep desire for acceptance, and fear of being ostracized or kicked out. You deeply desire recognition in the form of occasional acknowledgments from the pastor, or awards in the form of medals or certificates or small appreciation gifts from the pastor. You are willing to work very hard, to the detriment of your family or your health, in order to be considered a good servant of the Lord—and not be rejected or replaced. You love status and recognition so much that in order to maintain your position in the church, you will overlook abuses to other people, convincing yourself that somehow they must have deserved to be treated badly. There are things that can be done to be free of such a life, however. Jesus told those in Thyatira, “Now I say to the rest of you in Thyatira, to you who do not hold to her teaching…, I will not impose any other burden on you, except to hold on to what you have until I come.” (verse 24-25) Holding on implies simply clinging to truth—truth about your own motivations and truth about the intentions of the leaders who behave abusively. To me, that has proven to be easy as long as I took it in stages. First, I had to determine that no matter how leaders treated other people, I would act in love, seeking the good of the person being attacked. I would not ignore or isolate myself from anyone without hearing their side of the story, no matter what the leaders said. I recognized that just because something was said from the pulpit, that did not guarantee it was not a lie. 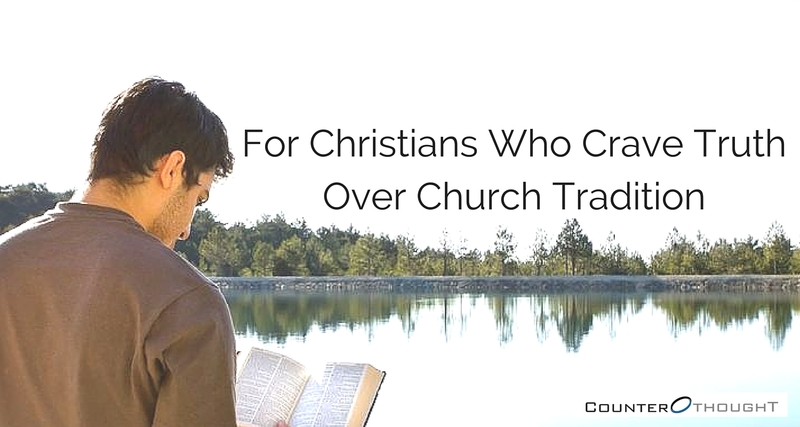 I determined to check every teaching I heard against scripture to make sure it was the truth. I eventually got over my fear of losing status enough that I could begin to speak up when I saw something wrong. This could only be done when I was willing to accept that I would almost certainly become the focus of the same character assassination, intimidation and lies that I saw directed at others who made waves. In short, I had to be emotionally, psychologically and spiritually ready to stand in complete isolation for the sake of truth, if that was where truth led. I will tell you, standing up like that is scary. And it is not easy to purposefully choose rejection. However, the good news is that once you do that, you will be amazed how many people are willing to stand with you. They were in fear themselves, but as soon as they saw someone willing to take a stand, they begin to feel empowered enough to take a stand themselves. Thanks to the Spirit of Ahab, I spent many years living in fear of isolation and rejection. Thanks to taking the step to embrace truth, regardless of the consequences, I now have the deepest and most enduring friendships of my life, as well as the most vibrant and powerful support group around me. The bottom line is that standing for truth is always better. In every way. Very glad to hear you got support and good friendships through it. I have, though I have to say that it took a long time to get friendships right. I had some very good friends all along, but really didn’t understand how to utilize those friendships for the kind of support system that made a difference. It is definitely a process. Don, thank you for sharing your life story, your journey and information with us. I learned a lot from you and value your insights and conclusions. Jerry, I appreciate the validation. And I appreciate your friendship, your own transparency, your scholarship and insights, and your willingness to share and discuss important issues. I don’t mean to go off topic, but it seems to me like politics (worldly) has a bit of Jezebel spirit.. Attitude that, to me, seems bullying. I would agree with your observation. It’s the pervading sense of entitlement coupled with the attitude of so many politicians who think it is their right and obligation to tell everyone else how they should live. I generally haven’t written too much here on politics, but maybe I should revisit that.